Uniqlo Move is the latest line by famous normcore Japanese clothing retailer, Uniqlo, in an attempt the conquer the sportswear market and then the world. 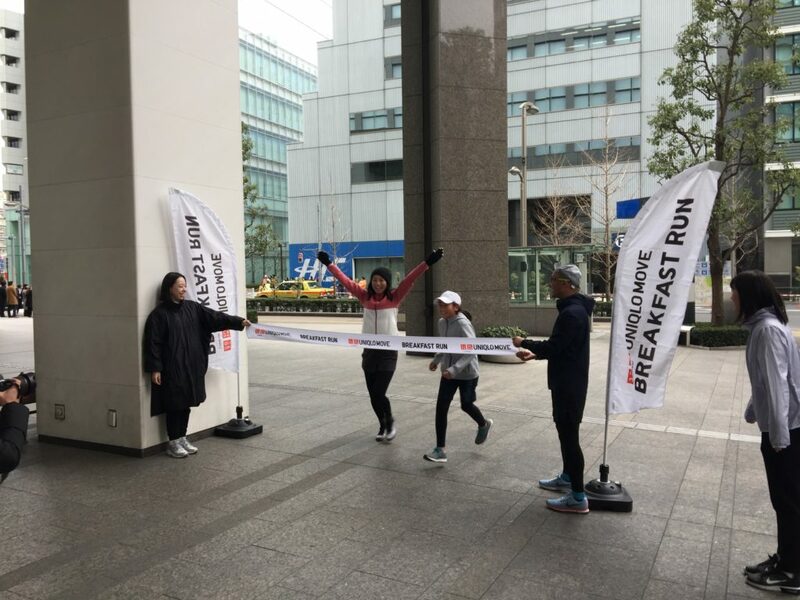 While there is not a single person in Japan who doesn’t know Uniqlo, only a handful of people know that if you buy anything from Uniqlo Move, you will be offered a chance to join their Uniqlo Breakfast Run. 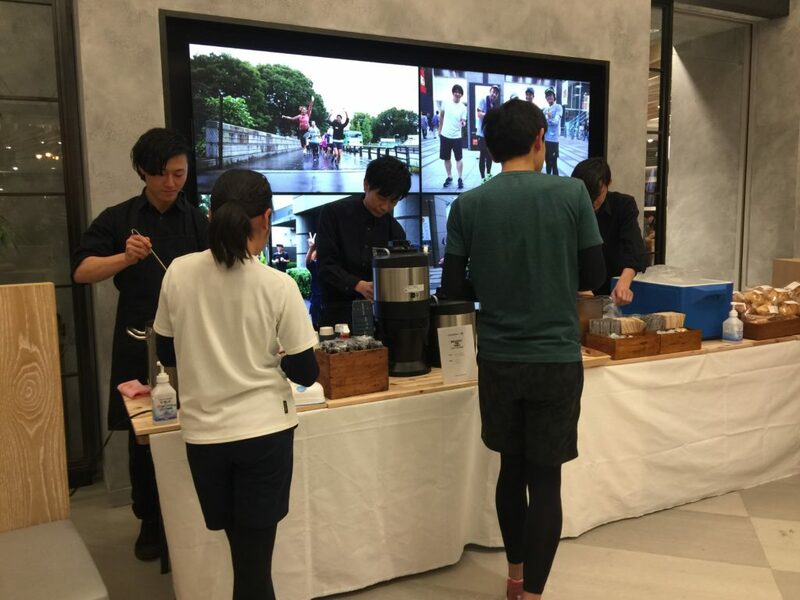 Uniqlo Run is basically a leisure 5km running event, punctuated by free breakfast. While I didn’t buy anything from Uniqlo Move, a friend invited me to join. Lured by free breakfast and coaxed by the convenience of it being held near where I lived, I readily agreed. Supposedly, you get a code when you make your purchase and you were supposed to go to the website to register your entry. Unfortunately, inputting the code for us yield an error page and we had to call in to confirm our entry. 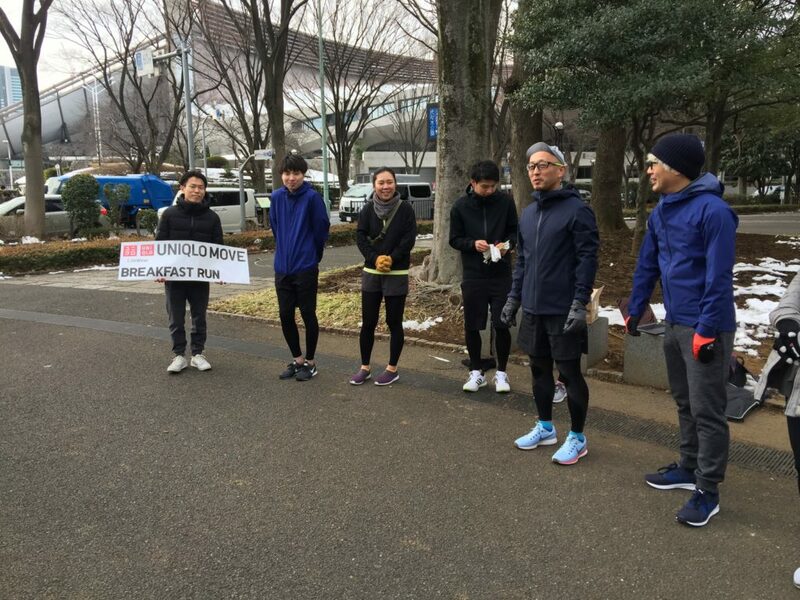 I woke up early on D-day and jogged to the meet-up spot in front of Meiji Jingu in Harajuku, to see a group of people shivering in their running outfits, one of whom was holding up a Uniqlo Breakfast Run sign. Upon arrival, you get a band for your belongings and yourself as well as a bottle of water. 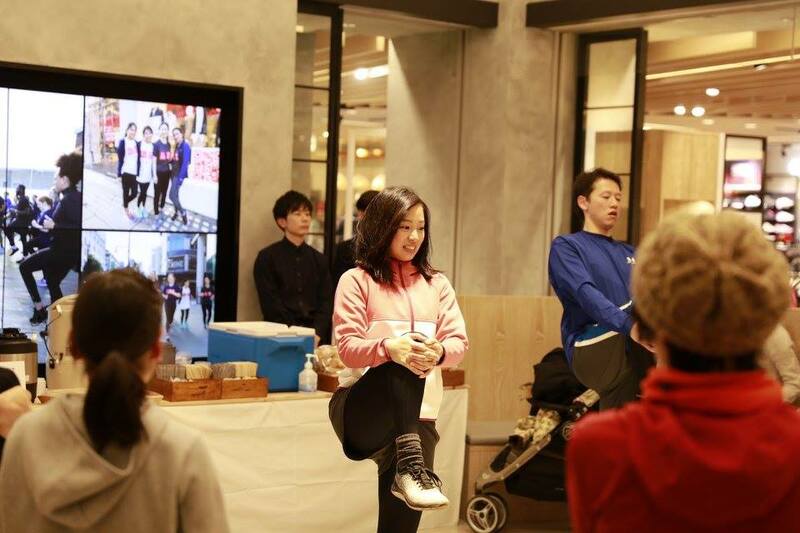 While there was a limit of 50 pax for the event, I was surprised there was only about 15 attendees and a third of which are Uniqlo staff, probably due to the cold. There was a van for you to put your belongings and jacket in. 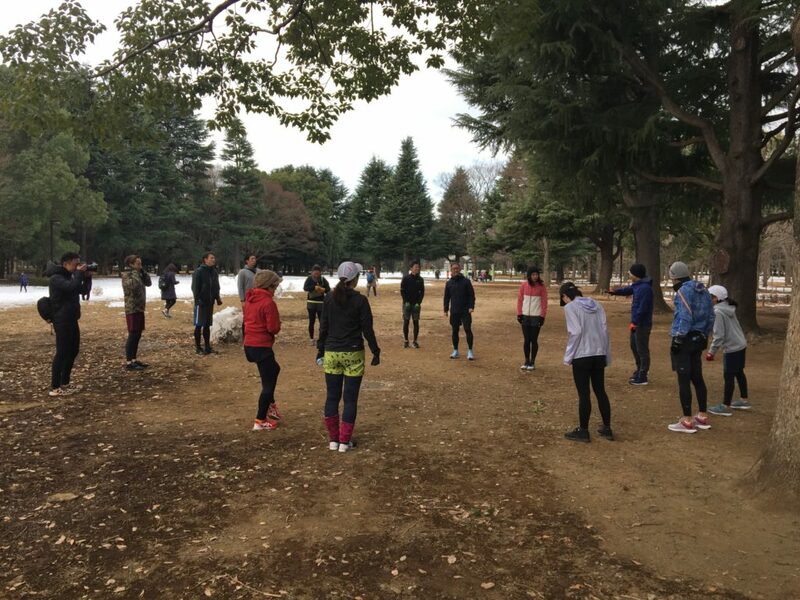 15 minutes after we gathered, we jogged lightly into the park and started warming up exercise. 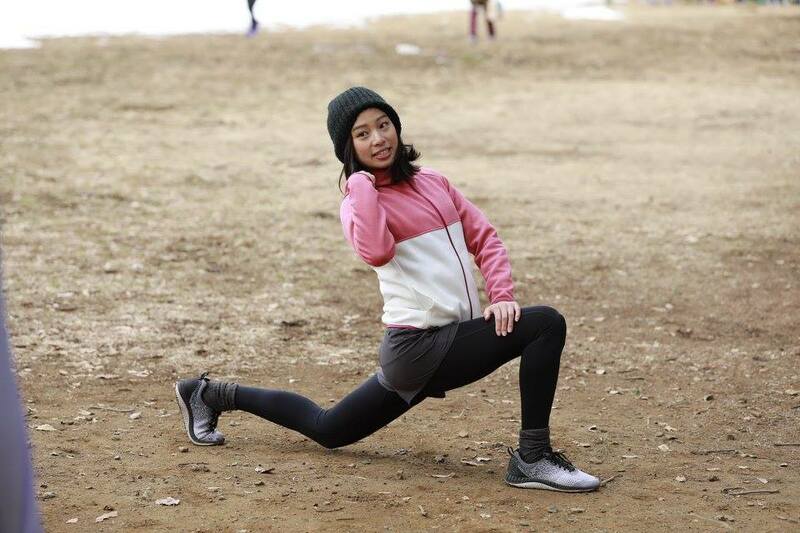 Led by a cute girl who resembled Japan’s sweetheart, Hirose Suzu, we did stretches and warming-up exercises like leg lifts. As much as I was trying not to look like it, I was pretty out of breath after the warm up. They were a little longer and harder than I expected. After the bunch of exercises that made me feel like that was enough exercise for the day, we started the actual run. 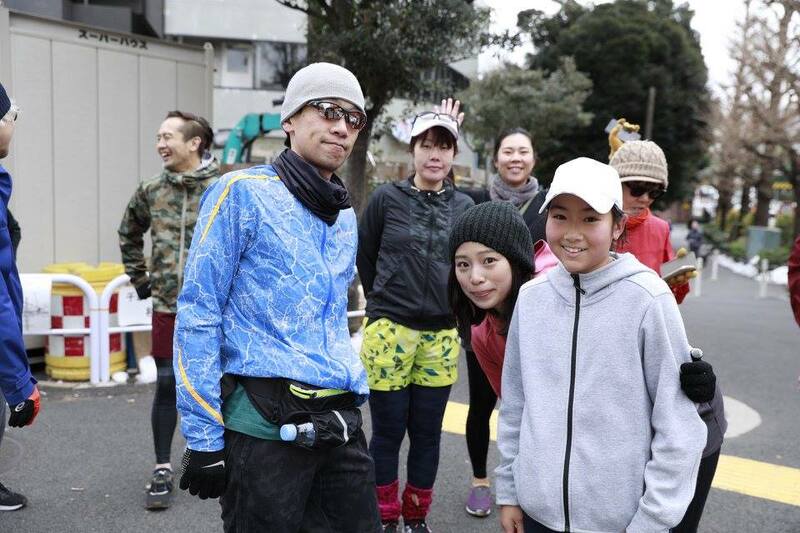 It was a light slow run to cater to the attendees of all age ranges and running experiences. It was casual and most runners were chatting during their run. We also stopped at traffic lights and on occasions for others to catch up. Since there were a lot less attendees than usual, we were running all together instead of in pairs like they usually do in past sessions. 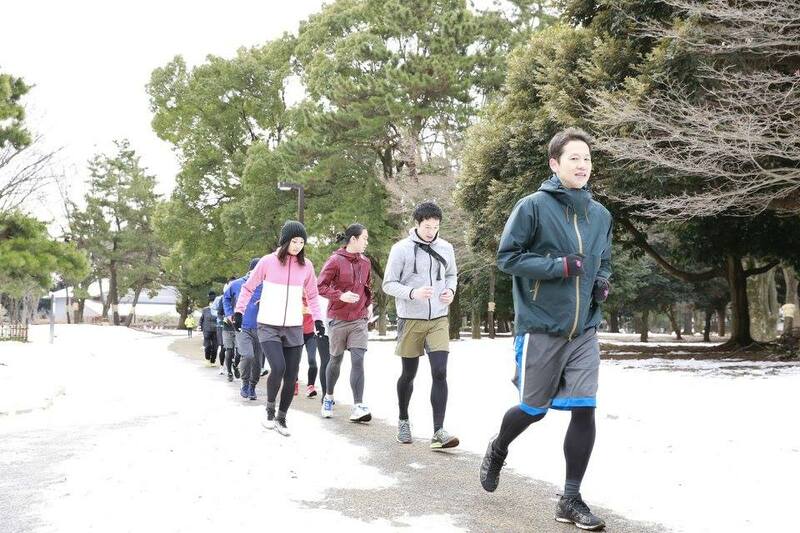 We ran around the beautiful park, still littered with white from Tokyo’s rare snowfall day. The route continued out of the park, past the entrance of Takeshita Dori, towards Shinjuku, passing by runners of the Shinjuku Marathon. Finally, after approximately 5km, we cross the finish line at Takashimaya Shinjuku. As I mentioned, the run was a good pace and the warm up before was certainly more tiring than the run itself. 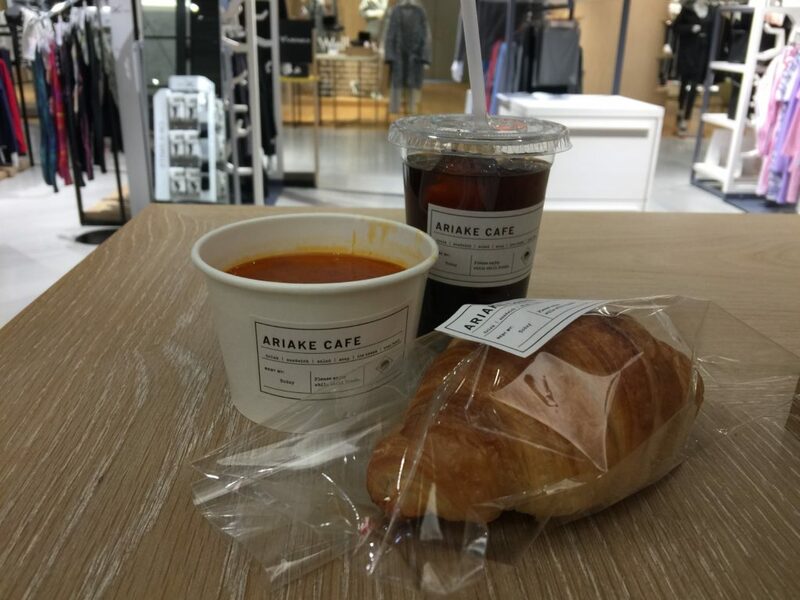 Going up to the space in front of the Uniqlo Move store, we were treated to a lovely breakfast of minestrone soup and croissant, as well as a choice of hot or iced coffee or apple juice, all provided by Ariake Cafe. From photos in the large screen panel at the event space, it seems like a different menu is served each time. 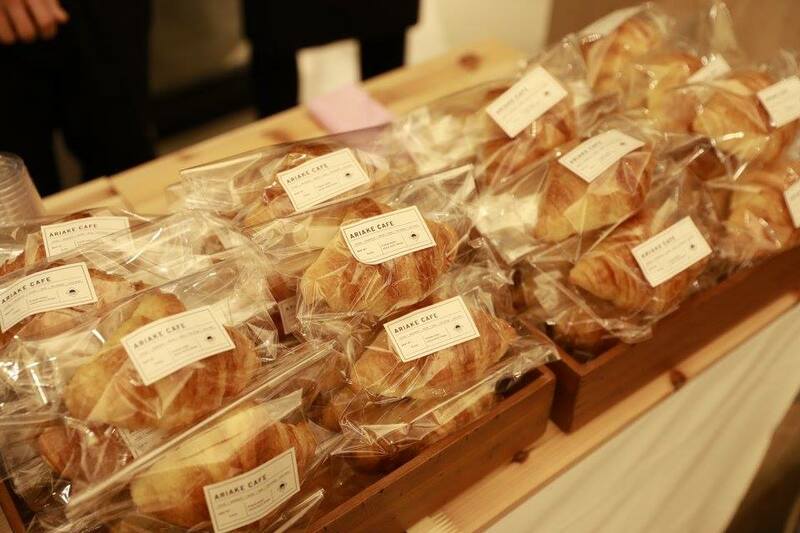 Probably since there were lesser attendees this time round, they allowed refills and even to take the leftover croissant home for breakfast the next day. They also mentioned that signing up to the webstore and presenting the wristband will give you 500 yen off your next Uniqlo Move purchase. 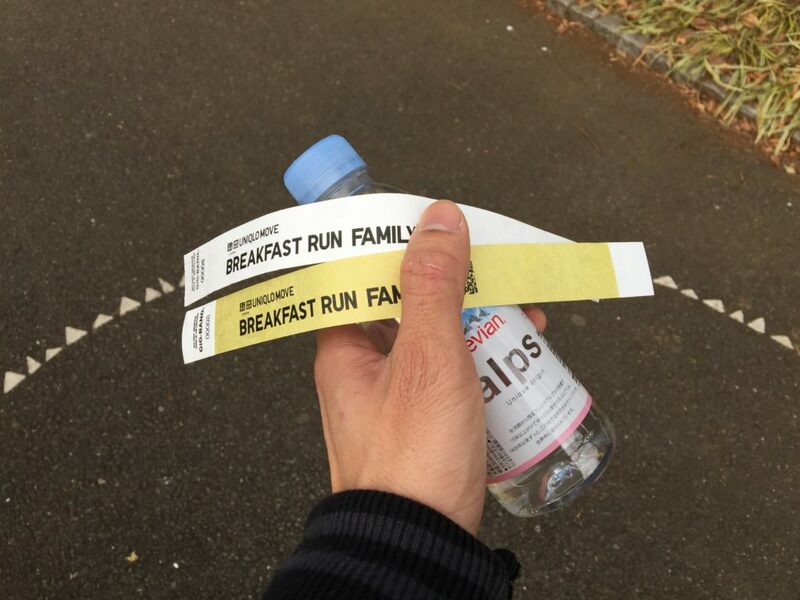 Maybe it might be impractical if you live far from Yoyogi Park, but if you want free breakfast after a good workout, I would recommend you to participate. 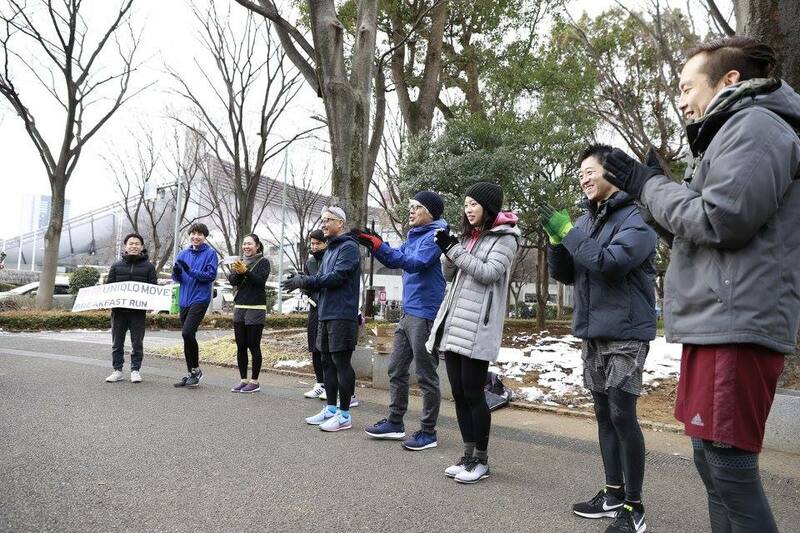 The event is Japanese only, so be sure to bring a friend if you can’t understand, but it shouldn’t be too hard to follow the warm up and just run. Personally, I am already on the look out for the next session. Looking for a place to stay in Tokyo? Find out how you can get up to 53% off with Airbnb. Photos below this line are by the event photographer. Lighter than light. Probably the best pants for your workout.